7 So Jerub-baal (that is, Gideon) and his army got up early and went as far as the spring of Harod. The armies of Midian were camped north of them in the valley near the hill of Moreh. 2 The Lord said to Gideon, “You have too many warriors with you. If I let all of you fight the Midianites, the Israelites will boast to me that they saved themselves by their own strength. 3 Therefore, tell the people, ‘Whoever is timid or afraid may leave this mountain[a] and go home.’” So 22,000 of them went home, leaving only 10,000 who were willing to fight. All about Christian (and Jewish) economics and finance today. In another word, how to persistently and sustainably prosper the Bible way? In my previous blog on this subject I have quoted excerpts based on a talk and left lots of questions which this book by the same teacher, “Financial Stewardship” will answer. I shall summarize and/or quote excerpts from each chapter and would encourage you to read the whole book as it will answer more in depth your questions. In reality, money only has value because people agree to view it as valuable…creations of men used to trade for services. The world’s system of trade is based on money, and we all have to use it to survive. The influence of money in our lives is very real, so it isn’t surprising that Jesus taught more on the subject of finances than on any other single topic. He taught more about managing resources than He did on prayer or even faith-which tells us that the topic of money, and how we handle it, is very important…the Gospel has a lot to say about everyday earthly concerns-especially finances. God doesn’t operate by this world’s system, an it’s more important for us to understand how God financial system works than it is to understand the Wall Street. What really bothers me is that those carnal techniques work! Many in the body of Christ are so uninformed in the area of finances that people fall for manipulation tactics all the time…the kingdom of God doesn’t operate that way; you can’t buy God’s favor. So, yes, there are abuse in the body of Christ regarding money, but don’t miss out on benefitting from the truths in God’s Word about finances just because a few people are abusing the topic. I encourage you to allow the Word of God to reveal finances to you in a godly perspective, I believe you’ll be glad you did. In this book I’m going to be teaching the Scriptural principles that go to the heart of financial problems-and success. Once your heart is right, using wisdom in how you spend your money comes naturally. A house divided will not last for long. (Matthew 12:25) Our relationship with God needs to permeate every area of our lives: marriage, business, relationships, recreation, and finances…letting God into your finances can bring peace and healing to other areas of your life. My goal in this teaching is to help you discover how to turn your finances to God, and to step into true prosperity in every area of your life. We shall increase our focus on this subject through reading the Word of God so we can live wisely in dangerous time, knowing that the Lord Jesus’ return is closer than before just as the Apostles had remarked and taught. What does God look for and what is His will? In previous posts we read that He wants godliness and holiness. He is holy. He is also our Father in heaven. Godliness means we shall be like Him just as Jesus has told His disciples. Today we read from 1 Thessalonians how to please God in our daily living. Take heed that there are no cliches in Christendom. In the world, there is a norm of man-defined practices driven by the pursuit of instant gratification and external pleasure linked to the senses. Christians pursue another realm of happiness -God’s realm. God’s holy word defines the parameters and brings us to God’s realm. Because God’s word are life and spirit and God is the God of the living, every individual Christian lives before the living God and interacts with Him Who permeates every aspect of our lives. Reading God’s Word, we have to admit that there is no option for Christians to pursue anything different from God’s realm and His definition of happiness. Summary: These instructions are given by the authority of Jesus through the apostles. God wants us to live a life that pleases Him. Mere doing is not enough. God wants us to know Him and be like Him more and more. It is God’s will that we be sanctified: Avoid sexual immorality; keep the body pure, holy and honorable by learning to control it against immoral lust practiced by those who do not believe in God. 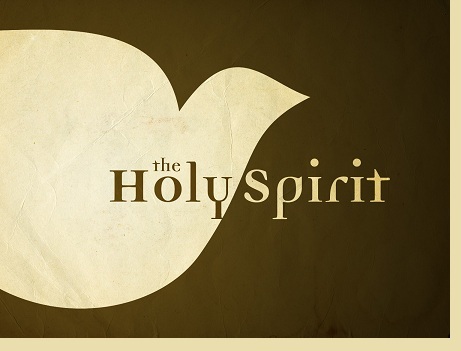 God has given each believer the Holy Spirit to enable us to do and fulfill the above requirement that involves our body and soul (mind, emotion, mood, the sensual and senses). God wants us to live a quiet and peaceful working life. WISELY CONDUCT OUR DAILY WORKING LIVES AND INTERACTIONS WITH OUTSIDERS: keep in peace, live a quiet life; mind your own business; do your own work. Be self-supporting. Note that respect must be earned. No short-cut. 11 and to make it your ambition to live quietly and peacefully, and to mind your own affairs and work with your hands, just as we directed you, 12 so that you will behave properly toward outsiders [exhibiting good character, personal integrity, and moral courage worthy of the respect of the outside world], and be dependent on no one and in need of nothing [be self-supporting]. Being poor is neutral. It does not make one better or worse intrinsically. In the mission field we handle matters concerning the poor. Some missionaries spend their whole mission life and focus on dealing with the body needs of the poor. Personally this watchman sees being persistently poor a spiritual as well as a physical and soul condition. Oppressions come in when a Christian is not spiritually aligned with God’s words. Let us read some verses as led by the Lord’s Spirit to understand this matter and how God sees the poor and being poor. Pray that we receive the Spirit of wisdom and Spirit of revelation to really know God. From the beginning when God gave His principles and laws to Moses, He specified very clear social justice, economic, financial management, administrative rules, moral standards and measures to apply in practical daily lives. He also sets clear requirement and standards for a court of civic law and legal justice that should be fairly and equally applied to poor and rich, without favor. Jesus has further set a spiritual standard to apply to Christians (brothers and sisters in Christ) just as among the Jews (Jewish brethren) as well. The apostle Paul has taught on how this standard is to be applied in the church between Christians. God’s standard is important because when the enemy (evil) comes in like a flood, the Holy Spirit lifts up the standard of God against him. (Watchman’s notes: The enemy comes in like a flood. This is a condition that happens. The word of God states that a believer of Jesus can always lift up the banner of God’s standard to resist and overcome the enemy. In a poor land, a usual condition that diverts attention from God is physical poverty and the resultant heavy indebtedness. In practice, improperly managed micro-finance has become the problem itself instead of being a way out for the poor). “In a lawsuit, you must not deny justice to the poor. But let the land be renewed and lie uncultivated during the seventh year. Then let the poor among you harvest whatever grows on its own. Leave the rest for wild animals to eat. The same applies to your vineyards and olive groves. When this offering is given to the Lord to purify your lives, making you right with him, the rich must not give more than the specified amount, and the poor must not give less. [ Redemption of the Poor and Enslaved ] “If one of your fellow Israelites falls into poverty and cannot support himself, support him as you would a foreigner or a temporary resident and allow him to live with you. “There should be no poor among you, for the Lord your God will greatly bless you in the land he is giving you as a special possession. “But if there are any poor Israelites in your towns when you arrive in the land the Lord your God is giving you, do not be hard-hearted or tightfisted toward them. “Never take advantage of poor and destitute laborers, whether they are fellow Israelites or foreigners living in your towns. You must pay them their wages each day before sunset because they are poor and are counting on it. If you don’t, they might cry out to the Lord against you, and it would be counted against you as sin. [The Beatitudes ] “God blesses those who are poor and realize their need for him, for the Kingdom of Heaven is theirs. Jesus called his disciples to him and said, “I tell you the truth, this poor widow has given more than all the others who are making contributions. John 12:5-7 5 “That perfume was worth a year’s wages. It should have been sold and the money given to the poor.” (note: the aforementioned statement was spoken by Judas the disciple who later betrayed Jesus) 6 Not that he cared for the poor—he was a thief, and since he was in charge of the disciples’ money, he often stole some for himself. There was a believer in Joppa named Tabitha (which in Greek is Dorcas). She was always doing kind things for others and helping the poor. (Cornelius) He was a devout, God-fearing man, as was everyone in his household. He gave generously to the poor and prayed regularly to God. Romans 15:25-27 5 But before I come, I must go to Jerusalem to take a gift to the believers[a] there. 26 For you see, the believers in Macedonia and Achaia[b] have eagerly taken up an offering for the poor among the believers in Jerusalem. 27 They were glad to do this because they feel they owe a real debt to them. Since the Gentiles received the spiritual blessings of the Good News from the believers in Jerusalem, they feel the least they can do in return is to help them financially. Our hearts ache, but we always have joy. We are poor, but we give spiritual riches to others. We own nothing, and yet we have everything. Revelation 3:16-18 16 But since you are like lukewarm water, neither hot nor cold, I will spit you out of my mouth! 17 You say, ‘I am rich. I have everything I want. I don’t need a thing!’ And you don’t realize that you are wretched and miserable and poor and blind and naked. 18 So I advise you to buy gold from me—gold that has been purified by fire. Then you will be rich. Also buy white garments from me so you will not be shamed by your nakedness, and ointment for your eyes so you will be able to see.